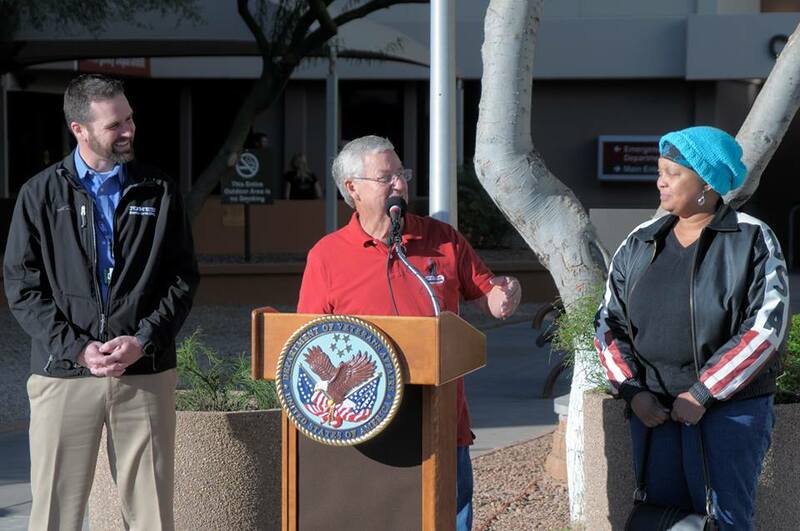 The Phoenix VA Health Care System hosted Up by Their Bootstraps as we presented a car to a Veteran in need. The Marine Corp League was on hand to present the colors. 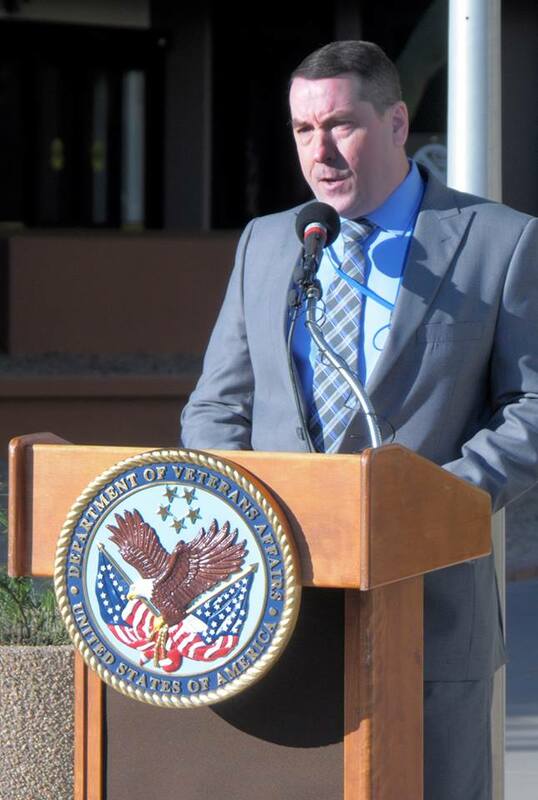 PVAHCS Deputy Director Shawn Bransky welcomed participants and guests to the Phoenix VA and spoke about how much a difference having a vehicle can make in a person's life. Eric Jones from Jones Ford Buckeye and Jay Humphrey from Up by Their Bootstraps present Army Veteran Carla Washington with the keys to her car. 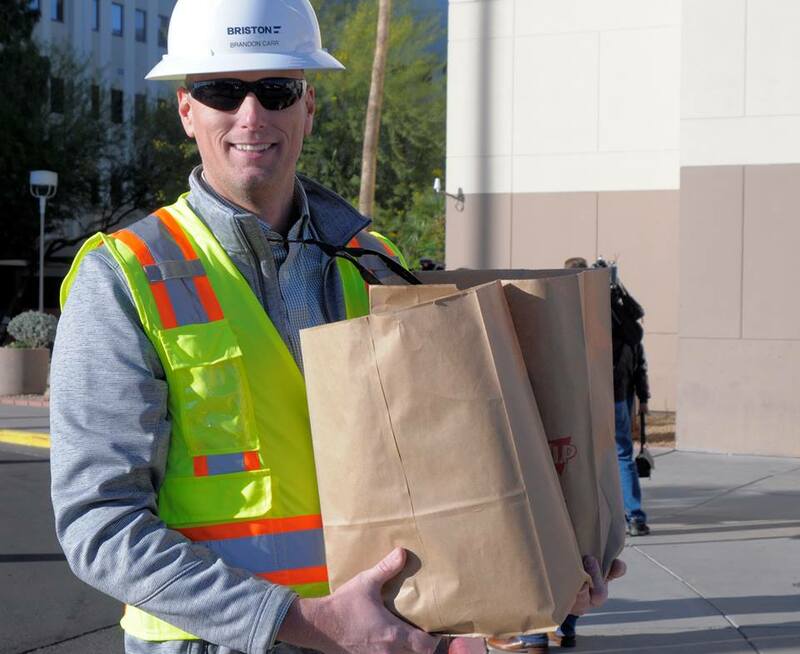 Brandon Carr from Briston Construction delivered a donation of groceries and gift cards to Carla Washington. Carla Washington speaks with media who came to cover the event. Carla served on active duty from July 1991 to August 1998 and from October 2009 to January 2011. 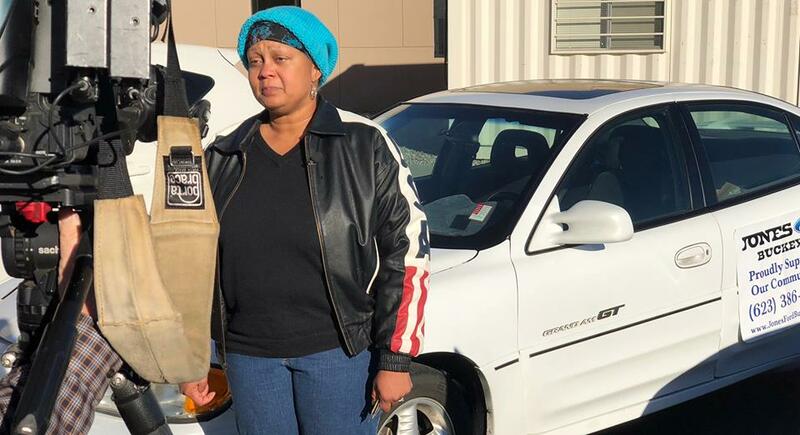 She moved to Arizona with one suitcase, no job and very little money and slept on her sister's recliner until she was able to get into the VA's Vocational Rehab program. 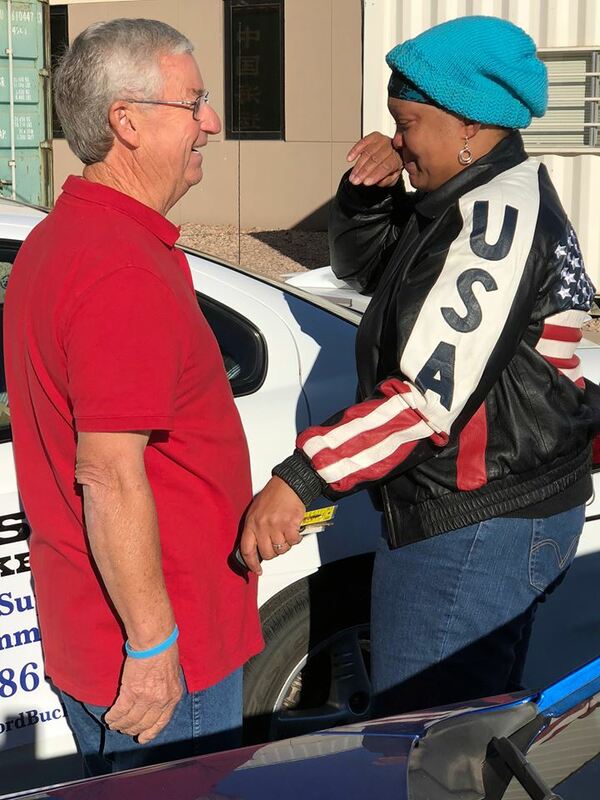 Jay Humphrey congratulates an emotional Carla Washington on her car. 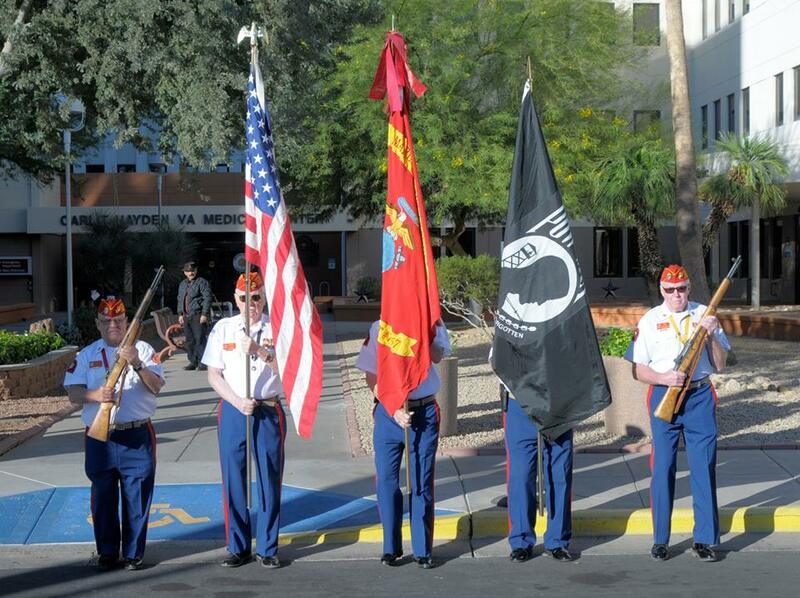 Carla served as a volunteer at the Phoenix VA, donating nearly 1,300 hours in various positions. She used public transportation and stood outside in the rain, darkness, and Phoenix summer heat. She was recently hired at the Phoenix VA in the Prosthetics Department. Jay Humphrey is the head of Upbytheirbootstraps. The organization is dedicated to helping those who have selflessly given to protect our nation. 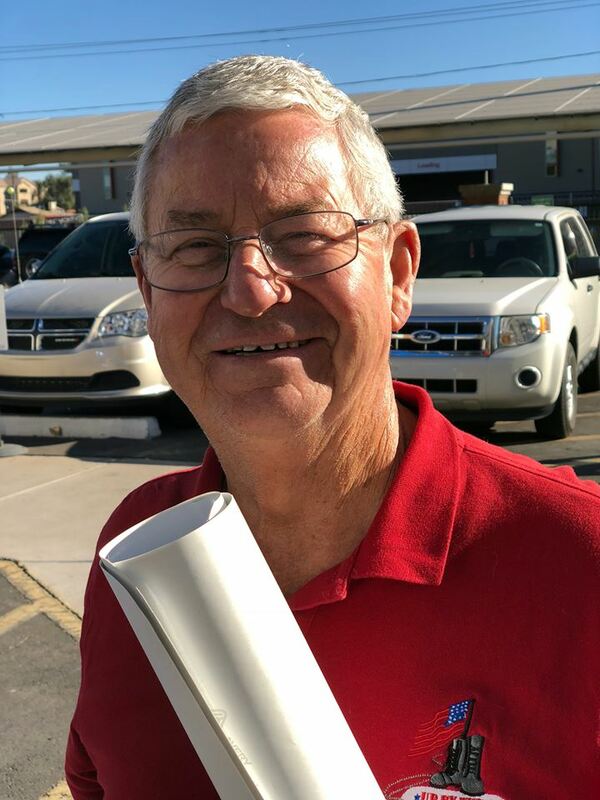 Jay says they can only accomplish their mission through donations of money, housing materials, and opportunities that provide our servicemen and women the chance to make a difference in their community.